Should you choose a Motel or Hotel in Ethiopia, Africa? Motels are for people who have cars and hotels are for people who use taxis or walk. There are 1000’s of Motels in Africa, however they call them Hotels. The Guidebooks of Africa are F##KED, they usually recommend Motels, truly a “Tourist Hazard.” WARNING: 99 percent of Travelers in Africa drive a car, if you are not driving a car, then the information you are reading in Guidebook can be junk. 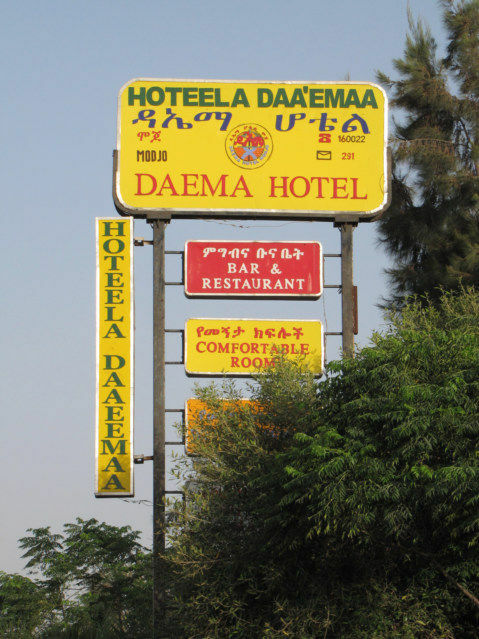 The problem is this, they do not call Motels in Ethiopia Motels, and they call them Hotels. The Guidebook should have the empathy to separate the Hotels from the Motels, and help the Backpackers. It comes down this, parking or no parking; a Backpacker can live in a great Mom and Pop Hotel with no parking. There are at least thirty Hotels in the city of Mojo; I am still trying to learn why. My only guess is this is a truck stop city, every trucker from Kenya to Ethiopia stops here to rest. The second guess is this is Market City and on Saturday, all the local villages come here to sell their products and need a Hotel. Do tourists need to visit Mojo? The answer is no, however think about it, nor is there a need to go to Paris, France, the answer is again no. Tourism is a want, not a need. What a tourist needs is freedom to enjoy a country or people the way they want, and not only the way of the guidebook. 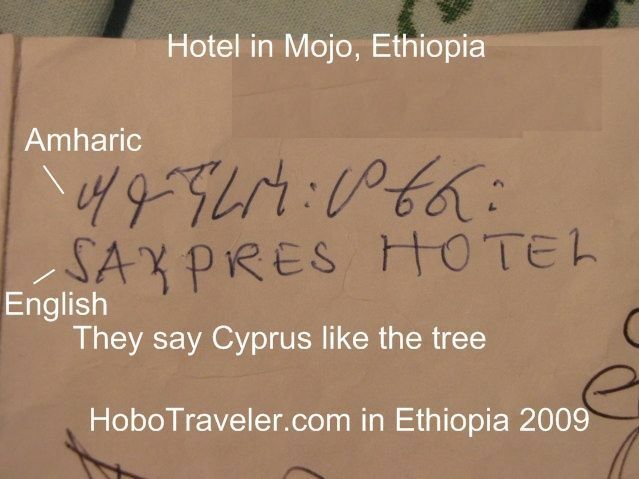 If a person comes to Mojo, Ethiopia, every local you meet will point you to this Hotel. This Hotel is nice; a person can get a good room for 7 U.S. Dollars with a shower and a Mosquito net. In the United States, we would call this Hotel a Motel, because people would drive along the highway with their “motor” vehicle and stop. Motels are great choice for Budget Travelers with a car, and truly a horrible choice for a person without a car. Can you imagine walking with a backpack to the motel along the interstate in the USA? 30 Birr per day or Three U.S. Dollars. This is the Cyprus or Saypres Hotel, both have parking, however the Cyprus Hotel is close to the Ruut Kaffee or Internet Café, Market and the center of the village. The one allows you to walk around and visit the city, the other requires you have a car. To get to this Hotel, walk to left of the Daema Hotel and look for a Horse drawn Taxi, show them the address on the paper and they probably will be clueless, but eventually have a long horse drawn tour of the city you will probably find he place. The cost of the Gari or Horse Taxi is 2 Birr or 20 cents US. The horse taxis are great during the day; however appear to stop when the sun goes down. When you are reading a guidebook in Africa, try to ask yourself, is this Hotel really a Motel. Try to take a Greyhound Bus across the USA, you will quickly realize the cheap Motels are incredibly difficult to reach and located in very boring locations.